Tight end is a tricky position to draft for but it doesn’t have to be. If you see a string of TE’s go early, don’t panic and take one just because you get scared. If the elite guys are gone, just wait it out. Not many teams will draft two of them so you’ll have plenty of time to snag one in later rounds. Like all positions there are levels of stardom but I think amongst the TE’s, there are five of them, elite, almost elite, solid with upside, good and everyone else. Without further ado, here are the top 25 tight ends for fantasy football. ELITE: The only two tight ends you should be reaching for. Ummm. There isn’t too much to say here. This guy was a complete animal last year. Only one receiver topped Gronk’s numbers and that was Calvin Johnson. He will be gone in the first round. 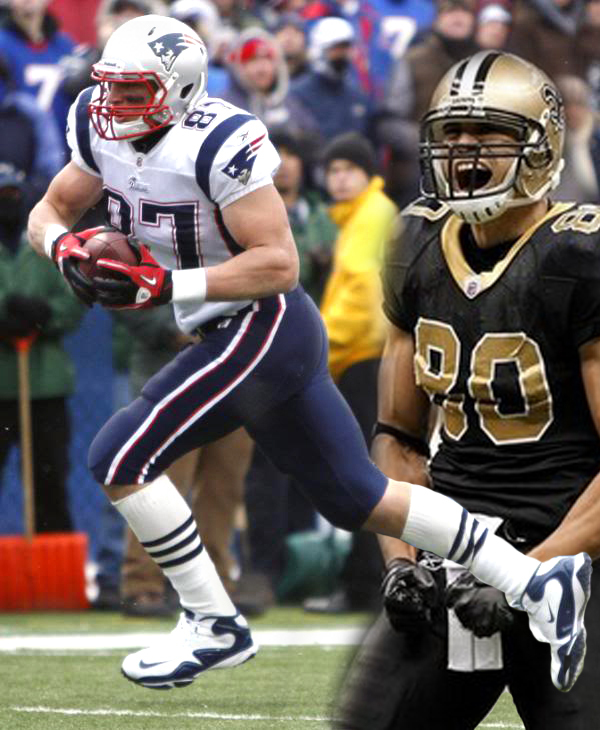 If it weren’t for Gronk, Jimmy would have blown away all of the other tight ends in 2011. I see both of these guys leading the pack again this season. ALMOST ELITE: If any of these guys gets a double-digit score season, it might vault them into the ELITE range. I love Gates, I think he will go down as one of the greatest ever, but his legs are just not what they used to be. He is going to have a nice season no matter what, just expect 12-14 games of productivity. He has come out and said, this season he wants to prove that he can be an elite tight end again. I have no doubt he could be. Heck, if he just had a full season of work his numbers would warrant being 3 spots higher, but he’s missed 9 in two years with many of them being questionable. Witten is just a wonder. He puts up the most consistent numbers every year. You know you will get close to 1,000 yards, about 6 TD’s and around 75 catches. One reason I have him at three isn’t because of his upside, it’s because you guarantee yourself the best chance to have a top 5 after the two man-children are taken. When I see Aaron on the field, I don’t even think tight end. I’m amazed he gets away with that designation. Dude looks and runs like some of the best wide receivers in the game. Vernon and Smith got really cozy during the playoffs last year. They lit it up and I’m hoping they didn’t forget about it this offseason. Maybe the 49ers shift back into conservative mode during the start of 2012 but I see more targets for Davis. SOLID WITH UPSIDE: Guys, if given the chance, could vastly out produce their draft position. Elite talent, just not in the system that utilizes their tight end as much. He will have two or three huge games, then fall off. Brandon has improved each of his first three seasons, if that continues again, he will finish near the top 5. A pick with upside, much like in 2011 drafts. In PPR Formats, I give Pettigrew just a slight bump up. He is a catch machine and could see 90+ this year. He is probably RGIII’s best catching option. So I expect him to break out in 2012. In 2011, he was number 5 among tight ends in per game points. Another guy with huge potential. GOOD: Mostly solid performers that will produce good numbers. Go ahead, I dare you to look past Gonzo. Fact is, he will finish in or just outside the top 10 in 2012. He has been doing it so long that, the sheer amount of finesse in which he plays just makes young linebackers looks silly. Celek had a really nice second half in 2011, if him and Vick continue to work on their chemistry, Celek will have nice value this far down the list. I don’t see a lot of upside, but he will have steadier production than most. 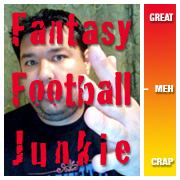 UPDATE: The more I think about Celek, the more I like him as a top 8 sleeper this year. Maybe it’s just his name and my fondness of Magnum PI? Probably a little high on Tamme but what can I say, I live in Indiana and am betting on Manning! Daniels’ has had a rough go of it in recent years staying on the field, but he did manage to appear in 15 last season. A good sign if you are a Texans/Daniels guy. It should also be of benefit to Owen, that Joel Dreesen is no longer a Texan. Olsen started out 2011 in sync with then rookie Cam Newton. Some nagging injuries kept him from reaching his true potential with the Panthers in year one, but look for him to improve in 2012. At 6’5″, he’s a big time threat to score, having scored 18 TD’s in his last three seasons. Started slow in 2011 but finished the season red-hot. If you are in a deep league looking for gold, Cook could just be your guy late in the draft. Keller is a really nice tight end, who’s only problem is the two guys throwing the ball. The thing he’s got going for him, is that Mark Sanchez does throw to him a lot. But it’s still Mark Sanchez. Maybe with Matt Flynn, Winslow will be able to find the end zone now. His catches and yardage are always solid, but getting those touchdowns have kept Winslow Jr. from being a more productive fantasy asset. He’s only had 12 total the past three years. EVERYONE ELSE: Usually good athletes that don’t get the ball enough or young guys with upside. This could be a breakout season for second year man Rudolph, but it waits to be seen, how much the Vikes will use newly acquired tight end John Carlson. Kyle has freakish size and should be a regular target inside the red zone, lets hope the Vikes can get that far. I have read mixed reports on Fleener, some calling him a great athlete and some saying he’s fast but doesn’t seem to match that quickness with pads on in a game. All I know is that Andrew Luck is probably extremely happy to have a guy he will be comfortable with the first day of camp. If Luck trusts Fleener as much as I think he does, Fleener will be an ok option if you’re looking to gamble. He could have tremendous dynasty league potential. Jermaine has improved in all the major statistical categories from year one to year two. Entering year three, I don’t see any reason why his momentum would stop, Dalton and co. should be poised for improvement on the offensive side of the ball. I can’t bear to say it, but I like the Bengals this year. UPDATE: Gresham sustained an injury in the second preseason game, keep an eye on his status. I like him but had to move him down the board for now until we know for sure how much time he will miss. Had a couple really nice games last year, but fell off dramatically in the last 6 or 7 games. If he could a better percentage of play his way his stock would rise, but I don’t see it happening with Ray Rice handling most of the short yardage stuff. Tony saw a really nice rookie season in 2010 with 556 yards and three scores but was injured before 2011 started. So now entering healthy with a presumable healthy Matt Cassel, Moeaki has some nice upside at the bottom of the tight end radar. If I waited till the end of the draft, my bet is on this guy. If anyone has the skill set and opportunity to shoot up the board it’s Bennett. The dude is freaky huge but never got a real shot in Dallas playing behind one of the best of all-time, Witten. Now with the Giants, Eli may have found himself a new best friend. Can’t we all just forget about how bad the Rams were in 2011? It was a rough year for Bradford and company, but this is not 2011 and with Jeff Fisher as the coach, I think things are looking up. Lance was a big sleeper pick of mine in 2011 and will probably be once again! Perhaps the single most disappointing pick among tight ends a year ago. Lewis went from sleeper star in 2010 with 10 scores to nill last season. Ten to zero. I blame the terrible quarterback play of Gabbert, but he’s still the guy, so I can’t see too much improvement for Marcedes. But you never know. • This list is for standard scoring leagues. PPR leagues may change the order according to the amount of catches they have.